Saxophonist and conductor, Dr. Jennifer Bill has performed in Asia, throughout Europe and the United States. She performs solo and chamber music with a variety of groups including BRUSH|REED, Pharos Quartet, and ēmergere. As a conductor she currently leads the Boston University Concert Band. During the 2017-2018 season Dr. Bill has performances scheduled in Minnesota, Iowa, New York, Rhode Island, and Prague. Based in Boston, the Pharos Quartet is a stirring musical collaborative formed by four New England saxophonists. Their unique combination of ideas, styles, and expressions brings the sound of the saxophone quartet to a new apex. With a vivid repertoire, balanced between notable pioneers as well as visionaries of tomorrow, Pharos maintains a steady appetite for today's most demanding saxophone quartet literature. Their concerts are stimulating, entertaining, and unpredictable. Its members bring together their own international performance experience and fuse it into a distinct chamber music event. Jennifer Bill Soprano Saxophone Saxophonist and conductor, Dr. Jennifer Bill has performed in Asia, throughout Europe and the Unit . 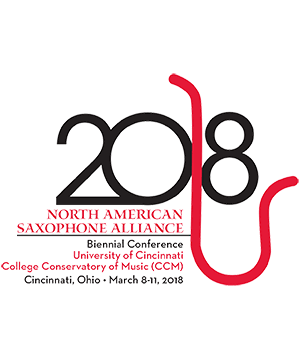 . .
Amy McGlothlin Alto Saxophone Saxophonist Amy McGlothlin is a dynamic performer, teacher, and conductor with studies in a wide r . . .
Emily Cox Tenor Saxophone Boston based saxophonist Emily Cox plays as a freelancer for local orchestras, theaters and chambe . . .
Zach Schwartz Baritone Saxophone Zach Schwartz is a graduate of the Royal College of Music in London and Boston University. His back . . .